It may have sipped water from the bowl, fell in, drowned, then froze in place. 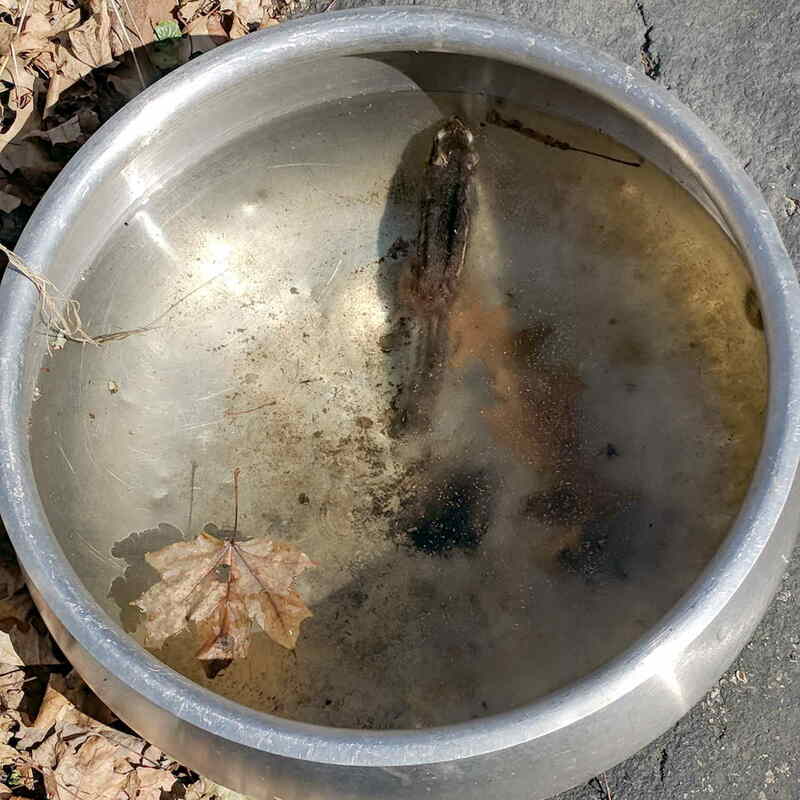 Mary uses rainwater (or snowmelt) for household plants, at least during somewhat warmer weather, but the bowl obviously presents an attractive nuisance for little critters. Chipmunks are basically rats in snappy livery, but even they don’t deserve such a fate.